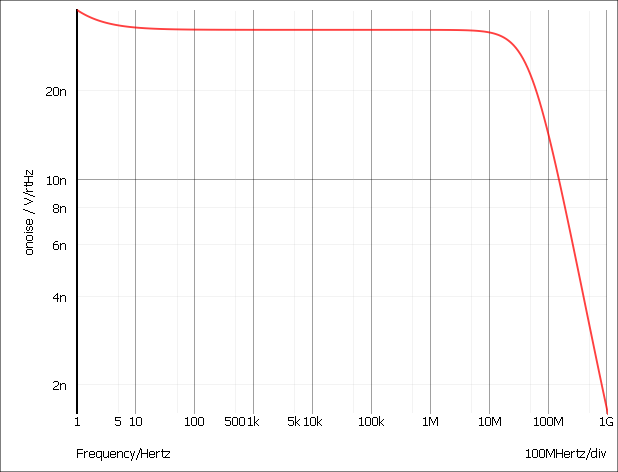 Like AC analysis, AC Noise analysis is a small signal mode. The circuit is treated as linear about it's DC operating point and the contribution of all noisy devices to a designated output is computed. 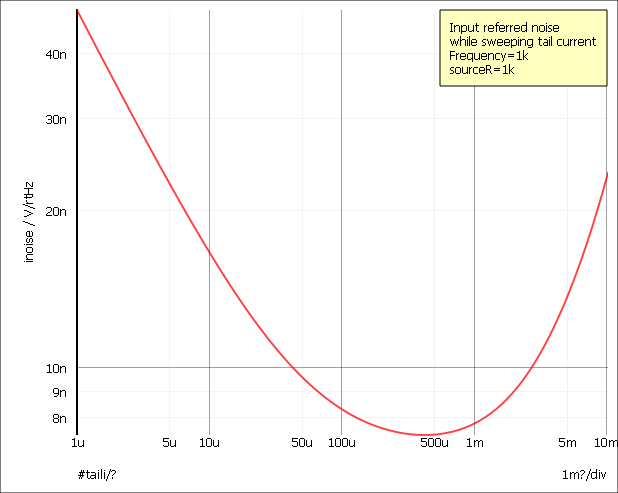 The total noise at that output is also calculated and optionally the noise referred back to an input source may also be computed. Like DC, AC and Transfer Function, it is a swept mode and can be operated in any of the 6 modes described in Sweep Modes. With some of these modes - e.g. sweeping a resistor value - it will be necessary for the DC operating point to be recalculated at each point while with others - such as frequency sweep - it is only necessary to calculate it at the start of the run. Note that it is not necessary to apply an AC specification to any source - including the optional input referred source - as it is with standard SPICE and many (if not all) of its derivatives. Select Noise check box on the right. Select Noise tab at the top. Enter parameters as described in the following sections. Points per decade, Number of points Defines sweep range. The number of points of the sweep is defined per decade for a decade sweep. For a linear sweep you must enter the total number of points. Define... Sets up desired sweep mode. See Setting up a Swept Analysis. Output node This is compulsory. 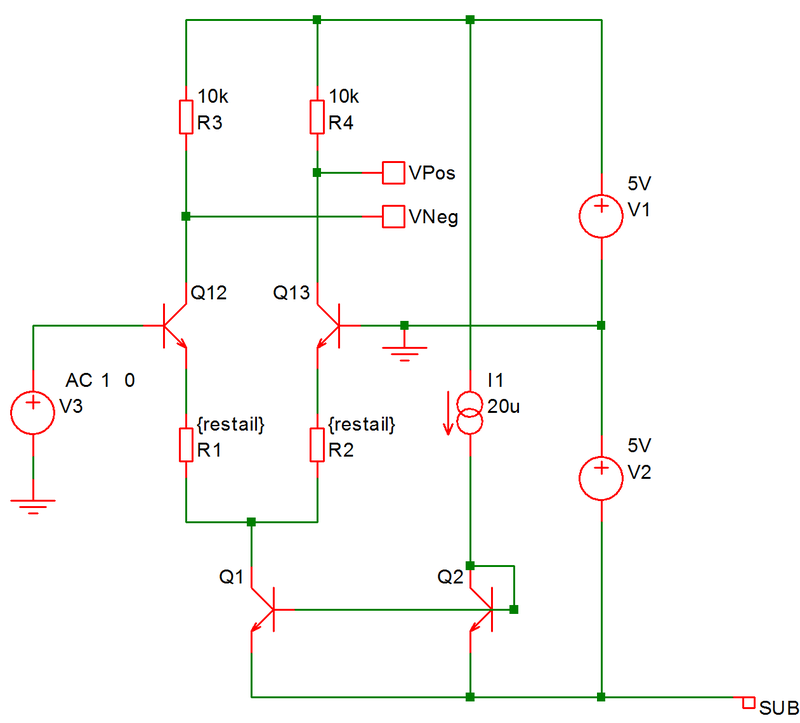 It is the name of the circuit node as it appears in the netlist. Usually the schematic's netlist generator chooses the node names but we recommend that when running a noise analysis that you assign a user defined name to your designated output node. To find out how to do this see Finding and Specifying Net Names. Reference node Optional. Output noise is referred to this node. This is assumed to be ground if it is omitted. Source name Optional. Voltage or current source to which input source is referred. 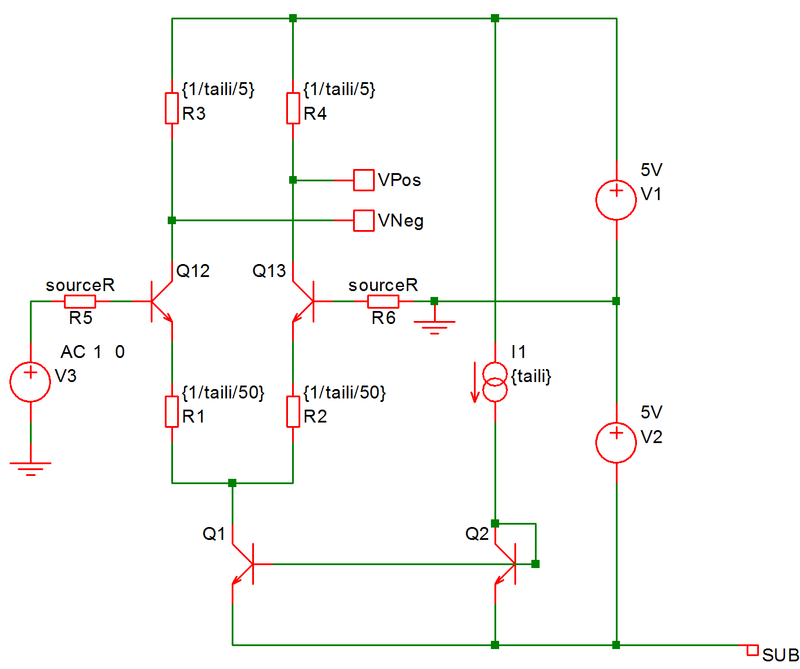 Enter the part reference of either a voltage or current source. Refer to Plotting Noise Analysis Results.